Pulled pork, BBQ sauce on a toasted white or sub wheat roll topped with Hawaiian coleslaw. 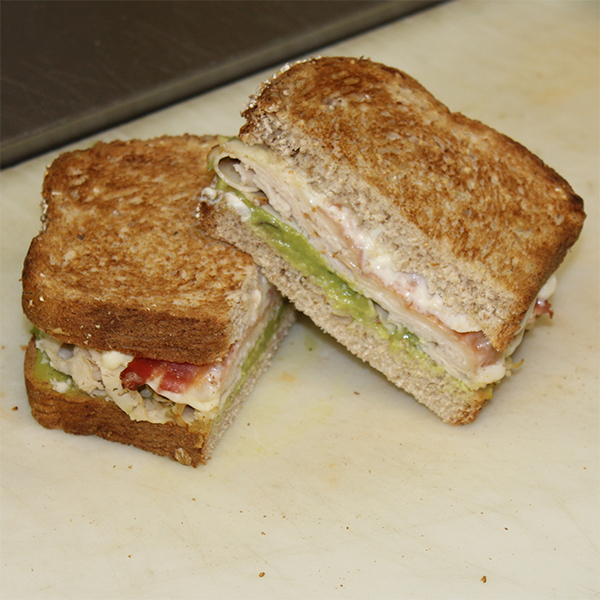 Oven roasted chicken breast, bacon and provolone cheese with avocado and mayo on toasted wheat bread. Smoked turkey, cranberry sauce, cream sauce, swiss cheese on a toasted white or wheat sub roll. 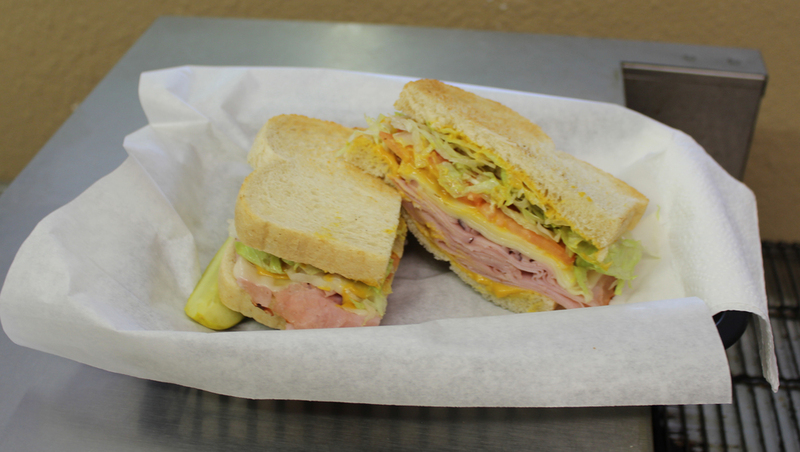 Ham, turkey, and provolone cheese with lettuce and tomato toasted white or sub wheat roll. White fish tuna with mayo, onions, and celery on white or wheat bread. Black Forest Ham, Ranch dressing, pineapple, swiss cheese, on a toasted white or wheat sub roll. Chicken, cranberries, grapes, pineapple, almonds lettuce and tomato with mayo served a toasted croissant. Roast beef, swiss cheese and onions toasted on a white or wheat sub roll served with a au jus. Pepperoni, salami, ham and provolone cheese with lettuce, tomato, onion, pickle, black olives, parmesan oregano, and oil & vinegar on a white or sub wheat roll. Smoked turkey, cheddar cheese, bacon peppercorn ranch on a toasted white or wheat sub roll. Choice of meat, cheese, lettuce, tomato, onion, black olives, bacon bits, croutons and dressing. Spring mix with craisins, mandarin oranges, sliced almonds and chicken with raspberry dressing. Lettuce, tomato, onion, cream cheese, cheddar cheese, pepper jack cheese, cucumber and avocado on multigrain bread. Buffalo chicken, blue cheese crumbles, provolone cheese and onion on a toasted white or wheat sub roll. Meatballs, marinara sauce, provolone cheese, parmesan cheese and oregano on a toasted white or wheat sub roll. Pastrami, swiss cheese, thousand island dressing and sauerkraut on a toasted marbled rye bread. Tomato's pesto, provolone cheese, parmesan oregano on toasted sourdough.